After swapping out barley malt for molasses in most of its Chex varieties several years ago, General Mills made one of its most popular breakfast cereal lines accessible for gluten-free eaters. 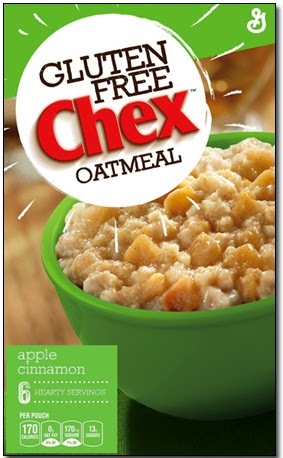 Now the company has extended the Chex brand to oatmeal. New are three flavors of gluten-free instant oatmeal: Original, Maple Brown Sugar and Apple Cinnamon. The Maple Brown Sugar and Apple Cinnamon flavors are sold in six-pouch multipacks and as part of a six-pouch variety pack (two of each flavor plus two Original). Designed for recipes or stove-top preparation, Chex's Gluten-Free Original Quick Cook Oats are sold in a 16 oz. pouch. 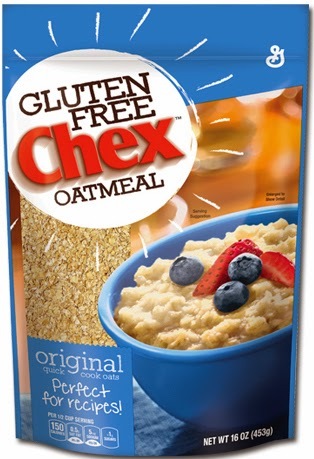 The Chex oatmeal products, which are certified gluten free, will begin shipping next week and should be in markets nationwide starting in late June. Pricing has not yet been announced. Can't wait to see what the pricing is like. The "original" oats could be great for baking!